Sure, I could launch into an elaborate list of the illnesses and ailments we’ve been dealing with the last several weeks that have prevented me from posting as often as I’d like; I could tell you all about my new (day) job that I enjoy so much that I don’t want to shirk my duties or rush through my workday so I can get back to blogging; I could regale you with tales of my haunted house, which seems to be inhabited by a ghost that really like to break stuff. Repeatedly. But the short answer is: life, man. We, like every other family in America, are always too busy. It’s hard to get enough sleep, take care of yourself, and – oh, that’s right – make dinner. 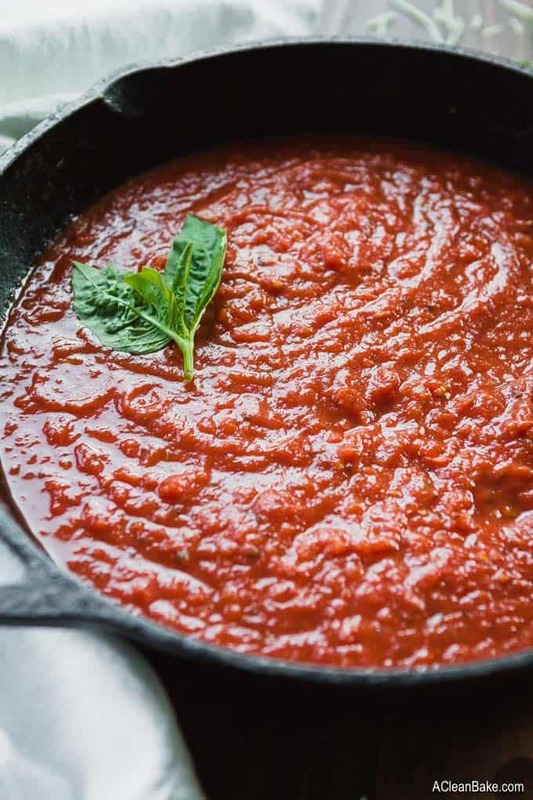 Luckily, you can make a batch of this quick marinara sauce and just add it to whatever you have in your fridge to make it seem like you slaved over dinner for hours. Those last three options, by the way, are all Whole30 friendly – as is this tomato sauce itself! 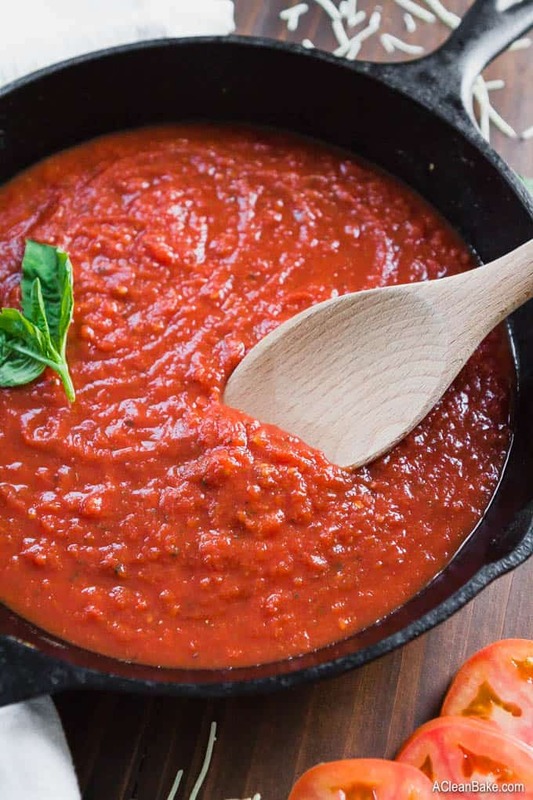 What do you need to make this quick marinara sauce? Oh, the list is so simple: crushed tomatoes, spices, salt, black pepper, balsamic vinegar…. and that’s pretty much it. You probably have everything you need in your pantry right now, in fact. Throw it all together in a pan, give it a quick stir, and let it cook for about a half hour, so that all the flavors mellow and blend together. 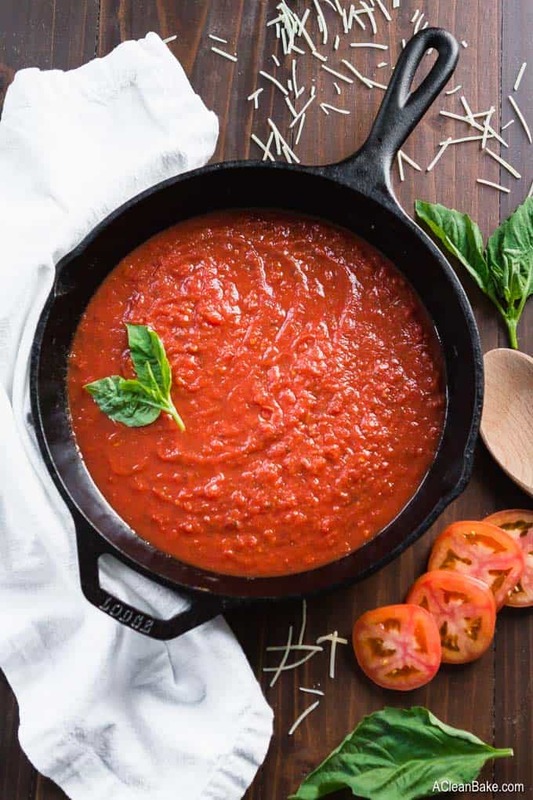 This may be a recipe that Nonnas the world over would pass out if they saw, but with a method this easy, you’ll never miss the convenience of jarred sauce (or, ick, the one dimensional sweetness of those store bought varieties). Although you don’t need it, if you’re headed to the store anyway, I highly recommend grabbing some fresh basil to use to finish the final dish – whatever it may be – to bump up the flavor and generally Straight-From-An-Italian-Grandmother’s-Kitchen-ness of the dish. But the bottom line is that you don’t need much to make this thick and hearty sauce that makes every meal a comfort food meal. 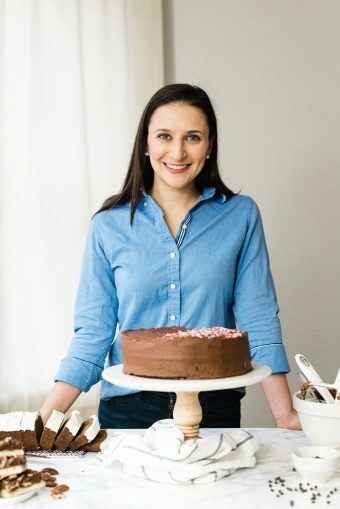 And let’s face it, as I sit here listening to the wind literally howl past my window, I am certain that there is no better time of year for quick comfort food recipes than right now. Put all of the ingredients, except the water, in a large sauce pan with a lid and stir to combine. Cover and cook, over medium heat, until the sauce reaches a simmer. Uncover and simmer, 25-30 minutes, stirring periodically. If the sauce becomes to thick, add a few Tablespoons of water (up to 1/4 cups) until it reaches your desired consistency. If you like a slightly chunkier sauce, sweat 1/2 medium white onion (minced) in 2 tablespoons of olive oil until translucent before adding the additional ingredients. If you do this, omit the onion powder. You can add finely grated parmesan cheese or nutritional yeast, to taste, if you'd like to add additional depth of flavor. This is not necessary. One serving is calculated as 1/2 cup of sauce. Store fully-cooled leftovers in an airtight container at room temperature for up to a week, or in the freezer for up to three months. Definitely gonna try this one on my next dinner, thanks for the tips! 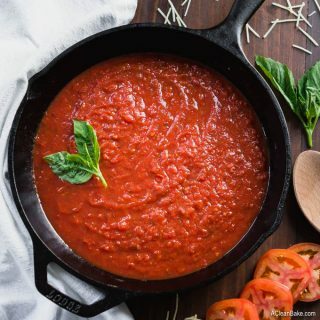 30 Minute Marinara Sauce is the recipe that I tried and it came out amazing! Thank you!!!! Love making this better than can….